Just imagine a home without proper electrical systems—or perhaps no electricity at all. Though going back to basics isn’t really bad, it also means several hours of hardship. There are plenty of things you cannot do immediately. In fact, you’ll feel very limited. If something goes wrong with your electricity, or you need to have a better electrical plan, it’s therefore recommended you search for an electrician ASAP. If you’re living within the Gold Coast, you can call on STO Property Maintenance Group. STO Property Maintenance Group takes pride in its over 5 years’ of electrical experience. Our Gold Coast electricians too are all licensed by the state, thus, ensuring you’re obtaining a legitimate and effective job. Moreover, the electricians do more than just install lighting systems. They have been trained to work with switchboards, fuse boxes, and home safety checks. They also cater not just to homes but also to commercial spaces, where electrical plans are much more complicated. They are considered the best with regards to installation. Because they are already experts, they can finish the job in record time. But they can certainly do more than that. You can also depend on them when you need Gold Coast electrical repairs. STO Property Maintenance Group also encourages you to call on them if you ever need maintenance. This way, problems can already be determined before they get worse. 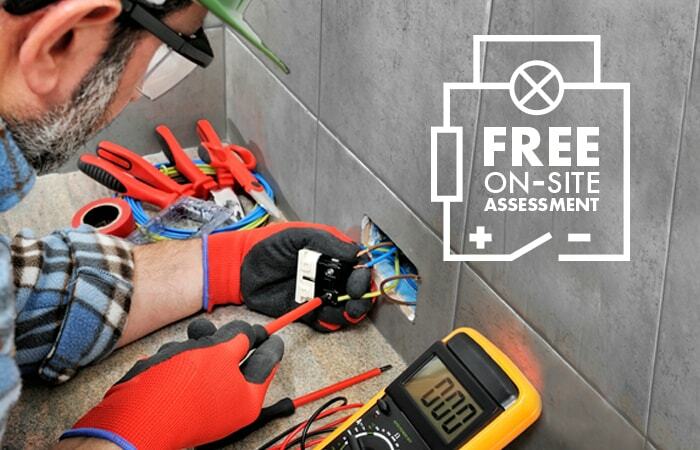 The company conducts on-site assessment for free. To take advantage of it, call their customer support at 07 5568 7664. Their line is open 24 hours a day, 7 days a week.